State Herbarium Hon. Research Associates Hellmut Toelken and John Jessop have yesterday examined flowering branches of Phyllostachys aurea Rivière & C.Rivière (fishpole bamboo) from Dr Toelken’s garden. This bamboo species only sets flowers every 15–20 years. 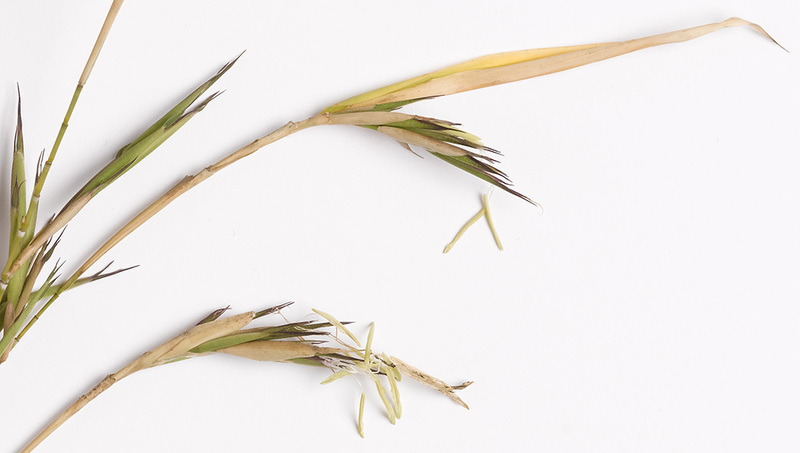 As the State Herbarium does not have flowering material of the species preserved in its collection, herbarium specimens were prepared from these branches. The long interval between flowering in bamboos has perplexed many botanists over time. If you want to know more about this, the US Forest Service gives an overview for P. aurea, and Janzen (1976) provides a comprehensive review for all bamboo species. According to this article, the longest recorded intervals between flowering are for Bambusa vulgaris (150+ years), Chimonobambusa quadrangularis (100+ years) and P. bambusoides (120–130 years). 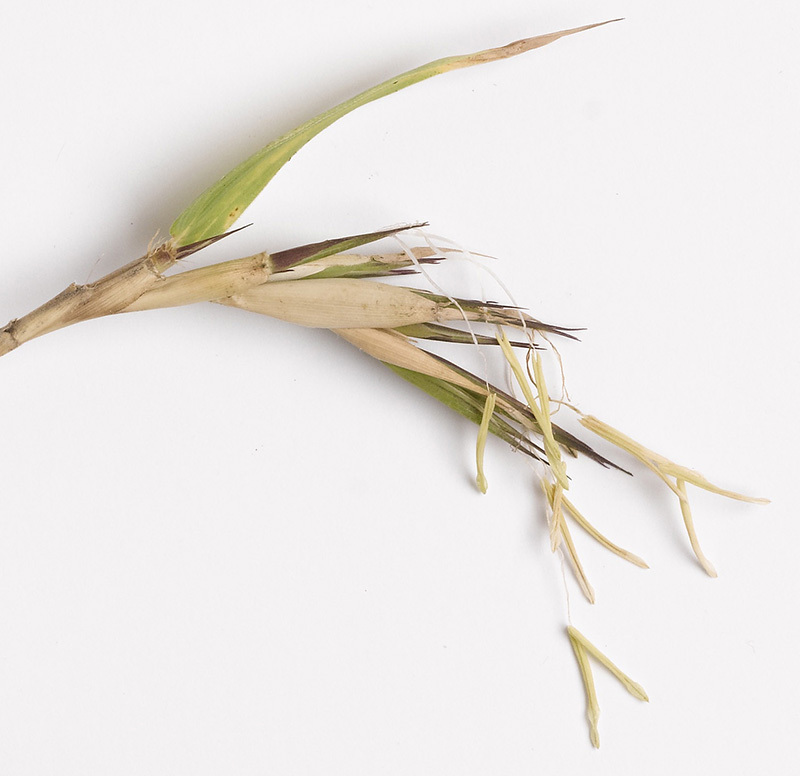 Many bamboo species seem to die after flowering, but reports for P. aurea are not conclusive, some authors claim that plants die, others state that they die down to the rootstock but can resprout. Phyllostachys aurea is native to China and has been introduced to many countries around the world. It is mainly used as an ornamental plant. The species has been listed as a weed in many countries, due to its invasive nature. In Australia, it is a declared weed in Queensland and New South Wales; it is prohibited in the Australian Capital Territory. It is recorded in the South Australian Census of Plants, Algae and Fungi as possibly established in the Southern Lofty (SL) region. It is not listed to occur in the other States and Territories, but parts of Victoria also treat it as a weed (e.g. the Alpine Shire). Phyllostachys aurea, inflorescences, shoots and leaves. This entry was posted in The Plant Press on 23 July, 2015 by Jürgen.